The NUI Art and Design Prize is offered annually for a piece of work by an NCAD graduate who distinguishes him or herself in any discipline of Art and Design. The Prize is a purchase prize and the work becomes the property of the National University of Ireland. Each winning piece of artwork is displayed in the NUI offices at 49 Merrion Square, Dublin 2. Final year BA/BDes students and masters degree students in NCAD are eligible for consideration for the Prize which is granted at the time of the NCAD Graduate Show each year. 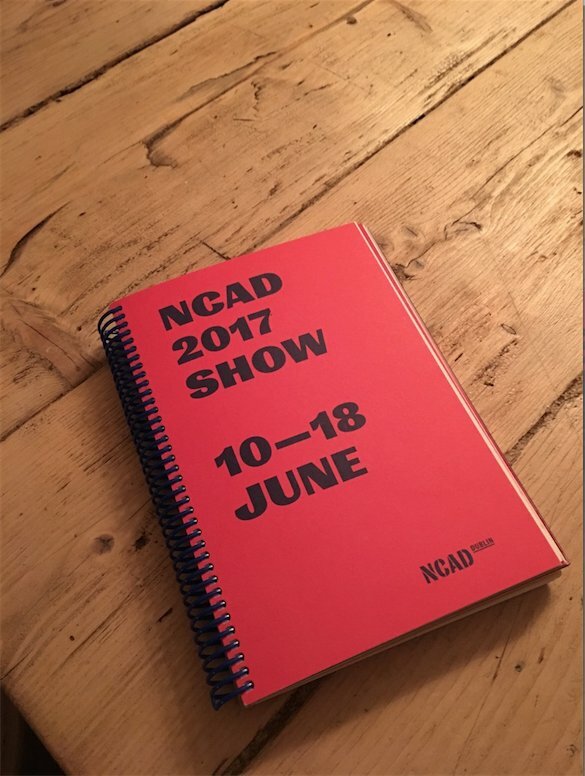 The NUI Awards team visited NCAD during the 2017 NCAD Graduate Show to view the diverse selection of art and design work on display featuring fine art, sculpture and a variety of other artforms by the 2017 graduates. The 2017 Prize was awarded to Jingze Du, a student of Fine Art at NCAD, for his piece, Images/ Reflets dans l’eau (pictured). With this piece, Du examines the aesthetic and ethic of the images used. The images are treated similarly to physical materials, becoming purely informative objects. The result of this is that the work becomes more fair-minded and less subjective. Du notes his awareness of the distortion of meaning. He says “Meaning can be altered by the composition or the distortion of images. As an object can never really exist on its own, the purpose of an image changes when it’s placed in relation to another, e.g. an exchange of dialogue occurs between multiple realities.” Du intends to focus on the construction of the narrative within the frame of the painting. He sees that images exist purely as they are in the painting - a metaphor as such - rather than symbols. Jingze Du was born in China in 1995. At the age of thirteen he moved to Ireland with his family, where he lives today. He will graduate with a BA(Hons) in Fine Art from NCAD later this year.